Geek's Guide to Britain Approaching the museum down a bumpy single track road you start wondering if any of this makes any sense. Why is this museum in the middle of nowhere? Why are the opening hours so peculiar? Why are there bits of aircraft lying around? Why does it have two different names? 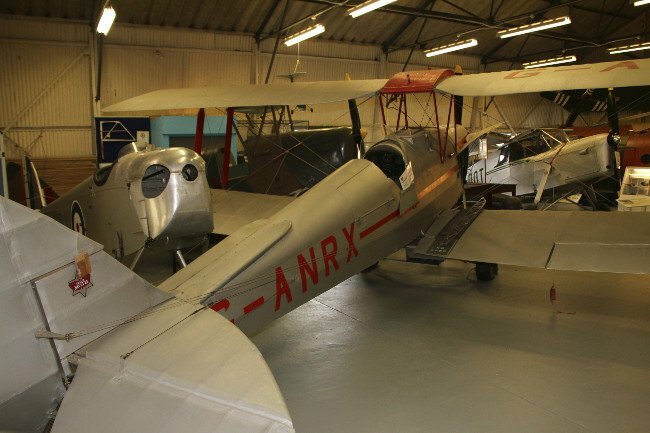 All becomes apparent in due course and in the process reveals the fascinating stories of not only a great engineering company and a special aeroplane but also how a group of enthusiasts built a museum from scratch. That museum – the de Havilland Museum near St Albans – celebrates the story of the de Havilland Aircraft company and one aircraft in particular, the twin-engined DH.98 Mosquito of the Second World War. The Mosquito airframe came here first, hence why all the signs on the surrounding roads point to the “Mosquito Museum”. But the site expanded to take on the whole history of the De Havilland company and so was renamed to reflect the broader remit. The story of de Havilland is also that of its founder and namesake Geoffrey de Havilland. An entrepreneur in the classic mould, he worked in the aeronautics industry for almost his whole life, not only designing revolutionary aircraft but also building the companies to manufacture and sell them. After engineering school – just like any modern-day startup – Geoffrey borrowed money from his grandfather to build his first aircraft in 1909. Using an aero engine he also designed himself, the aircraft crashed on its first flight. Undaunted, he went on to build a second aeroplane with which he taught himself to fly and subsequently sold it to his new employer, the Royal Aircraft Factory. He was poached in early 1914 to become Chief Designer at Airco, a private aircraft manufacturer based in Hendon, north London. Throughout the First World War Geoffrey designed successful aeroplanes for the Royal Flying Corps, from the DH.1 to the DH.9, which in its 9A variant went on to serve with the RAF for another two decades. By 1918 Airco was the world’s largest aircraft manufacturer – but the end of the war and the consequent drop in sales proved fatal to the company. Despite moving into passenger aeroplanes the company remained unprofitable. It was finally taken over by BSA, of small arms and motor vehicle fame, in 1920, but Airco's new parent company only wanted factory capacity for their growing car business. This proved the opportunity Geoffrey was waiting for: he bought out the aircraft assets and set up shop under his own name in Edgware, near to Hendon, and later moved to premises in Hatfield, just up the road from the present-day museum. Initially de Havilland concentrated on the light aircraft market, producing a series of aircraft based on the Moth, an existing Airco design but using Geoffrey's own-designed Gipsy engines. Notable models included the first Moth, the DH.60 and the most famous of all Moths, the Tiger Moth, used widely to train military pilots well into the Second World War. The basic plywood Moth design spawned many versions for specific purposes. A touring version, the DH.83 Fox Moth, had wings that folded back so you could tow it home easily. The larger DH.84 Dragon, a twin-engined development of the Fox Moth, was used for scheduled passenger and mail services, evolving into the iconic 1934 DH.89 Dragon Rapide. The most unusual was the Queen Bee: a Tiger Moth fitted with remote control equipment to serve as a anti-aircraft gunnery target. The museum has one – suggesting someone was not a terrific shot. An important development of this period (but which I can't help feeling was done just for marketing) was the DH.88 Comet. This was in response to the MacRobertson International Race from London to Melbourne announced in 1933. 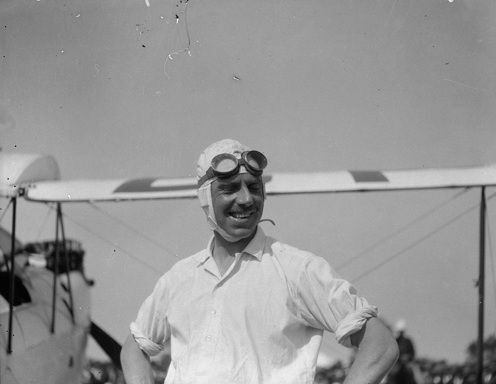 With no British aeroplane of the time being suitable, Geoffrey de Havilland announced he would build one. His final design (which won the race in a time of 71 hours) was a wooden box construction covered in plywood and fabric with tuned Gipsy engines. Lightweight and extremely streamlined for better performance, it would serve, along with the four-engined DH.91 Albatross airliner as the forebear of the Mosquito to come.